Joining a gym is almost like getting married. Not only are you financially bound to the gym of your choice, you're also investing time with your gym. Unlike your spouse, however, a gym isn't going to get mad if you don't show up. In fact, your gym is more than willing to take your money whether you go five times a week or five times a year. But just as you take care in choosing a spouse, doing so when you choose the right health club can ensure that you'll go, be happy, and not waste your money. This guide will help you do just that. Before you take the plunge and sign a contract that may commit you for several months or years, make extra sure you're ready. You can do this by trying out several gyms by getting a free pass for at least a week so you can go at different times and use all of the facilities available. When you visit the gym, do so during the times and days you'll be working out. This way you can see if it is crowded. Pay extra attention to machines and the group fitness classes if that is your emphasis. See if they have lines to get in. Location — This is the single most important element in your decision. A gym can have every bell and whistle in the world, but if it's too far away, there's a good chance you won't go. Make sure the gym is either close to your house and/or job. Hours — This is an obvious one, but often overlooked by many of us, assuming that most gyms are open all hours of the day. Double-check to make sure the gym is available for the times and days you want to work out. Cost — Gyms operate in different ways, but you'll likely have to sign a contract and pay a certain amount each month. The nicer the gym and the nicer the membership, the more you'll pay. But there are ways to make sure that you are getting the most from your money. Look for specials — Most gyms offer monthly specials, no-initiation fee, free personal training, or a few free months. Ask the salespeople about any specials available before signing on. Negotiate — In many gyms, membership features are negotiable. There's no harm in asking them to waive the initiation fee, change the contract terms, or even ask about lower monthly payments. Research — Too many people take the first offer, rather than shopping around to nearby clubs. Making the rounds to every gym in the area will give you an idea of what people are charging and the specials they're offering. That puts you in a position to negotiate an even better deal. Read the fine print — Is there a penalty for getting out of your contract early? Is there an option to put your membership on hold if you get injured, sick or have a long trip? Find out how you can get out of your membership before you sign up. 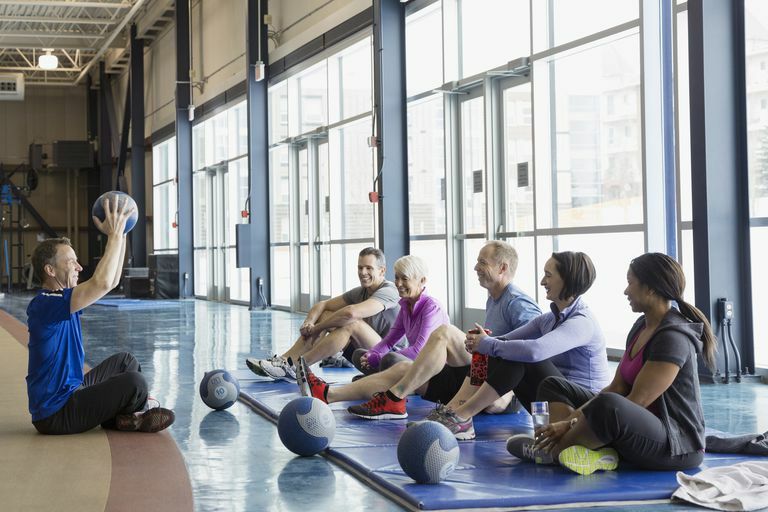 Features — Make sure your gym has everything you want to participate in— racquetball, tennis courts, pools, fitness classes, specific machines or equipment, personal training, physical therapy, etc. Will your family be joining with you? Make sure you find the right gym for your family. Atmosphere — While you may not want a jam-packed gym, having people around can add energy to your workout. Pay attention to how the gym feels. Is the music too loud? Are there waiting lines for any machines? Is there enough space for people to do their workouts? Do you feel comfortable? If you're there for serious exercise and it feels like a dance club, you may not be as motivated to work out there. Try to tour the gym when you would normally go so you can see what your experience will be first hand. Environment — Is the gym clean? Spacious? If it's a dump, you may not be too thrilled to work out there. What about TVs? Do they have plenty around the cardio machines so you don't get bored? Can you listen to the stations on your headphones? Are there spray bottles around the gym so people can wipe down the machines? Are the bathrooms clean and well-stocked? Little things like that can make your workouts more of a chore than they have to be. Childcare — Check the hours of the childcare facilities (some only operate within certain hours) and the space. Is it overcrowded? Do they have enough employees? Make sure you're comfortable leaving your kids there before you commit. Parking - During busy hours (often after work), make sure you don't have to spend an hour looking for a place to park. Joining a gym is a big commitment. Like any other big financial decision, make sure you have all the information you need to make a good decision. Once you have joined, sign up for an orientation. Many gyms offer a free session where a trainer will show you around and give you the basics on how to use the machines. Take advantage of this to ensure you know what you're doing and help you to navigate the gym and set up your workouts. A gym can offer so much for almost every type of exerciser... but only if you show up.